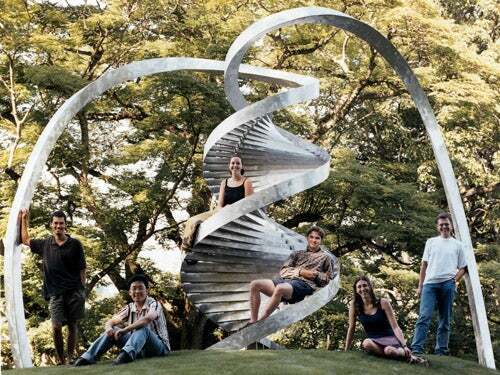 Cold Spring Harbor Laboratory is located on the wooded north shore of Long Island, 35 miles east of Manhattan in New York City. The Laboratory offers many amenities, both cultural and recreational. There is a fitness room, tennis and volleyball courts, a private beach, kayaks and rowing sculls, the Stillman Outback hiking trail, and many quiet back roads for running or walking. 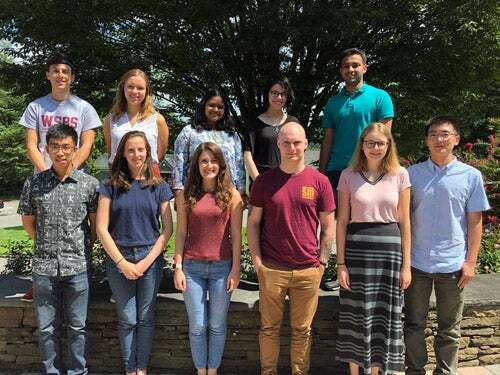 Cold Spring Harbor Laboratory employs more than 1000 people, including 51 research faculty, 160 postdoctoral fellows, 45 Watson School Ph.D. students, 50 visiting Ph.D. students, and, in the summer, 20 Undergraduate Research Program students. Graduate student housing: The Laboratory provides housing to first-year Watson School graduate students in on-campus housing. Single graduate students are offered single rooms in the recently renovated, 19th-century Knight and Cutting Houses located across the harbor from the Lab. 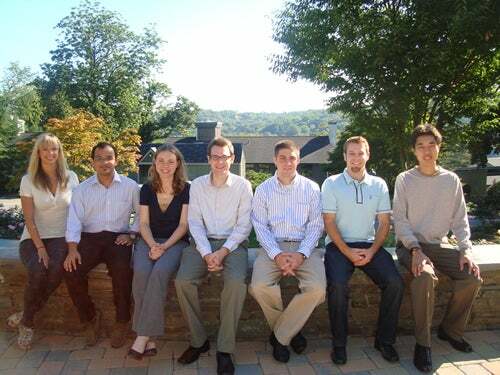 Married students are housed in apartments at CSHL’s Uplands Farm. After the first year, students are eligible for subsidies to support their housing costs. Cold Spring Harbor Laboratory offers many resources for recreational activities, including a fitness room; billiard, table-tennis, and foosball tables; tennis and volleyball courts; a private swimming beach; kayaks and rowing sculls; on-campus yoga classes; and many quiet back roads for running or walking. Many students participate in the Lab’s volleyball, soccer, and ultimate frisbee games during the summer, or basketball in winter. In March, students are invited on the Lab’s ski trip to the Catskill Mountains. 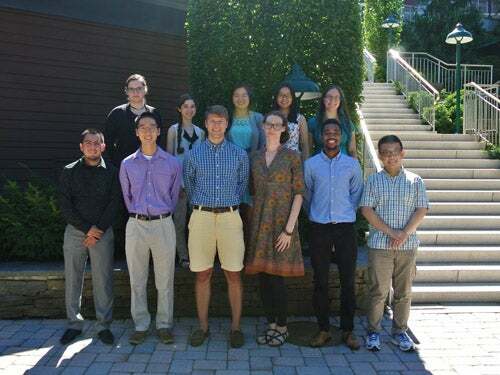 In summer, students can apply for one of the Lab’s coveted gardening plots, which come with the added bonus of expert growing advice from CSHL’s grounds keepers. 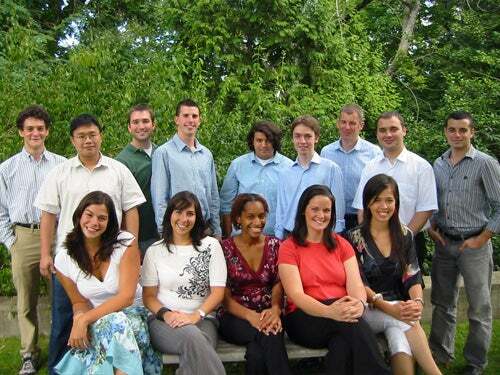 Throughout the year, Blackford Bar is a popular place for members of the CSHL community to meet. 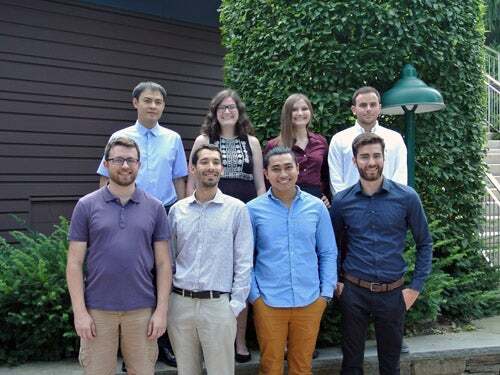 During the day, it’s a coffee bar – also serving an alternative lunch menu at mid-day – with espresso, lattes, and t.v.s for live-streaming talks from on-going CSHL meetings. In the evening, it’s a pub serving a range of drinks. 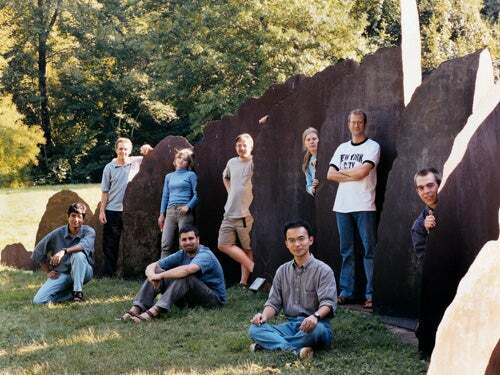 Students, professors, postdocs, and technicians as well as CSHL administrators, grounds keepers, facilities workers, and the Lab president might all be found at Blackford on any given night. It’s a great place to discuss new experiments just as well as the latest Mets game or your favorite Broadway musical. 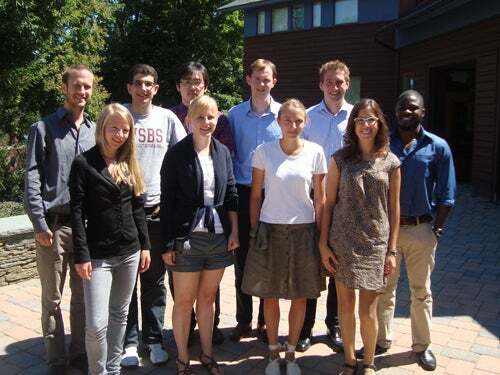 Each year, the Laboratory hosts several Lab-wide picnics in the summer and indoor parties in the winter. 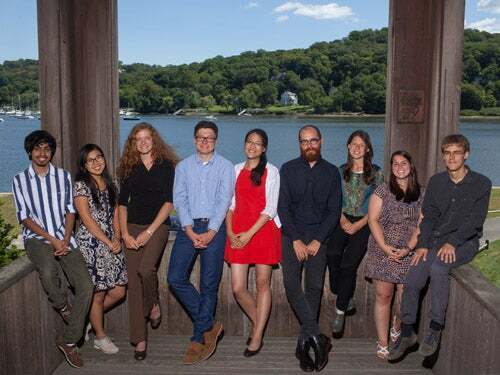 As a part of CSHL’s Meetings & Courses program, students are invited for afternoon wine and cheese and Saturday evening cocktails, a unique opportunity to meet a number of prominent, visiting scientists from a range of fields. 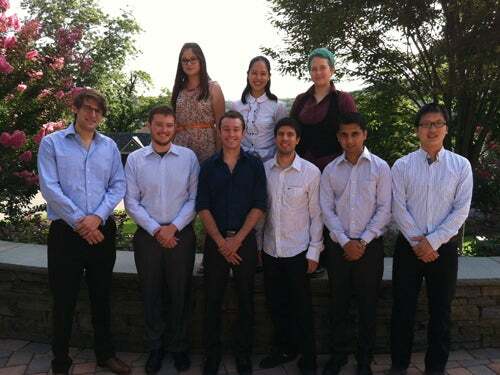 Students are welcome to attend the public lectures and classical music performances sponsored by the Laboratory for the neighboring community. 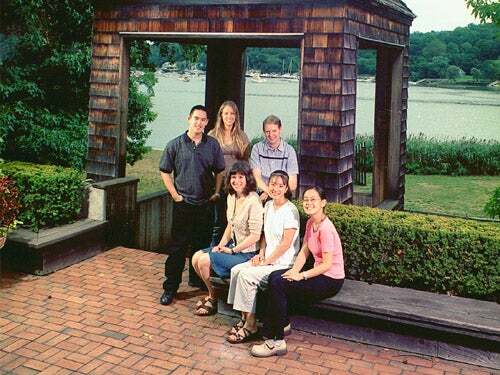 Friends of CSHL occaisionally donate tickets for concerts or art exhibits to students. 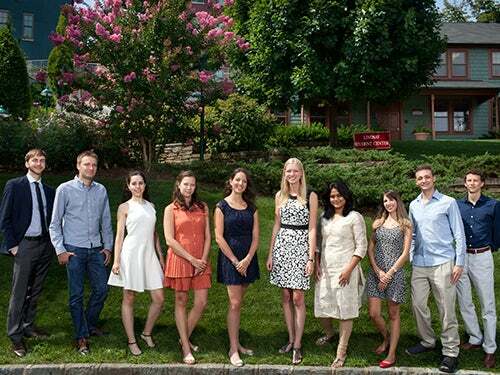 New York City lies within 35 miles of Cold Spring Harbor Laboratory. Frequent direct trains from Cold Spring Harbor, Syosset, or Huntington stations arrive at Penn Station in Manhattan in less than an hour, making all the possibilities of the City easily accessible. The beautiful North Fork of Long Island extends in the opposite direction, with its quiet towns, old farms, and vineyards. A short drive south from Cold Spring Harbor brings you to Jones Beach and Fire Island, two extensive stretches of beautiful sand on the Atlantic Ocean with great opportunities for swimming or surfing. For more intense surf, Montauk lies at the eastern end of Long Island’s South Fork, about a two hour drive from the Lab. The South Fork is also the site of the Hamptons, the quaint old summer communities of wealthy New Yorkers. The various Hampton villages offer a distinct variety of shopping and eating options for visitors.